Verizon version late 2010 -- maybe. I'm not sure that anyone is privy to whether or not AT&T has lost exclusivity except for Apple, Verizon, and AT&T; bear in mind that the iPad only runs in 3G on GSM (not Verizon), but that may just be a play to make it world-friendly. Ultimately if the iPhone does come out on Verizon, the folks that jump may be customers that AT&T ultimately does not want and it will be interesting to see if Verizon's network can handle the increased data volume. Front-facing camera -- seems unlikely. I certainly haven't experienced tremendous speed increases in AT&T's 3G network that would lead me to believe that this would be a useful feature in a non-wifi environment, but maybe they'll only let video chat work over wifi. Higher resolution screen -- probably so. A4 (Apple) processor -- very likely. Multi-tasking -- maybe. I'm guessing that if it happens, this is not going to be a free-for-all, but will have some sort of maximum number of concurrent applications that can run, priority for memory, etc. Bear in mind that we've gone through 3ish generations of the product without this happening and all of us seem to be able to function. 802.11n support -- probably, but there may be some very real battery endurance concerns. 4G network support -- maybe in the chipset, but I would be surprised to see it turned on for the initial release. New graphics chip -- very likely. New display -- very likely; not sure if it will be some sort of LED or IPS like the iPad. User-removable battery -- fat chance, why would they change now? Higher resolution camera and flash -- there doesn't seem to be a good reason not to have this, but none of the previous version have had a flash. From a competition perspective, Apple is going to have to release a lot of the options above to compete with the specs of phones like the Nexus One, which is now available in a version that works on AT&T's network and is available fully unlocked. Expect the rumors to continue to build with supposedly leaked specifications, leaked parts pictures, etc. As usual, none of us will know for sure until Jobs makes the announcement touting the new features. One important item of note is that the landscape is much more hypercompetitive with AT&T and all of the other carriers on track to continue to pump out Android-based phones that will attempt to heavily compete in the space. On the plus side of things, if you don't need whatever the fancy new features wind up being, you'll likely be able to get a 3G or 3Gs for next to nothing once the 4G starts being sold. I started my professional career consulting, so I've always used whiteboards -- I don't develop software or primarily consult, but I've found that they are very useful in thought and idea development. Unfortunately most whiteboards are expensive and heavy and have to be hung. Luckily there are people out there that are reimagining the whiteboard and the premise behind it, which are making them more accessible, cheaper, bigger, and scalable. My favorite "portable whiteboard" consists of giant easel pad sticky notes like these from 3M. I like these because you can fold them up and take them away with you at the end of a session and the adhesive backing is strong enough to keep them up for multi-day sessions if you are using the same room. Of course, they're not really a whiteboard because you cant erase anything from them (unless you use one of those stupid novelty pencils). If you want to turn a wall in a room or an entire room into a whiteboard, there is now paint that will let you do so, which is called IdeaPaint. Although I've yet to have a chance to actually use this stuff, it is supposed to create whiteboard surfaces with a single coat of paint, meaning that you can have as big or small a whiteboard as you want if you have a paintable surface. IdeaPaint is supposed to be more generally available this summer at places like Lowes and Home Depot; you can order it now in multiple colors to match your decor directly from the IdeaPaint site. Another product that I just came across is called Whiteyboard (gotta love the name). 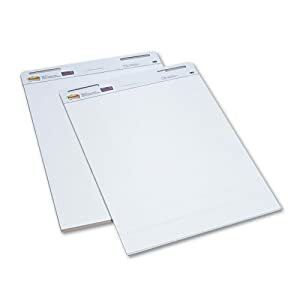 As opposed to hard-installed, framed whiteboards, Whiteyboard sells a few different sizes of their frameless plastic boards that install using a non-damaging adhesive; their largest board, which is 4x6, weighs less than 2 pounds and costs $25. Think of Whiteyboard like a big sticker that you slap on the wall for an instant whiteboard surface and although it doesn't come in fashion colors like IdeaPaint, it goes right up with no special tools required.